The sea is a vital part of Australia’s heritage and culture. With such a vast coastline, the draw of the sea is inescapable for most Australians. 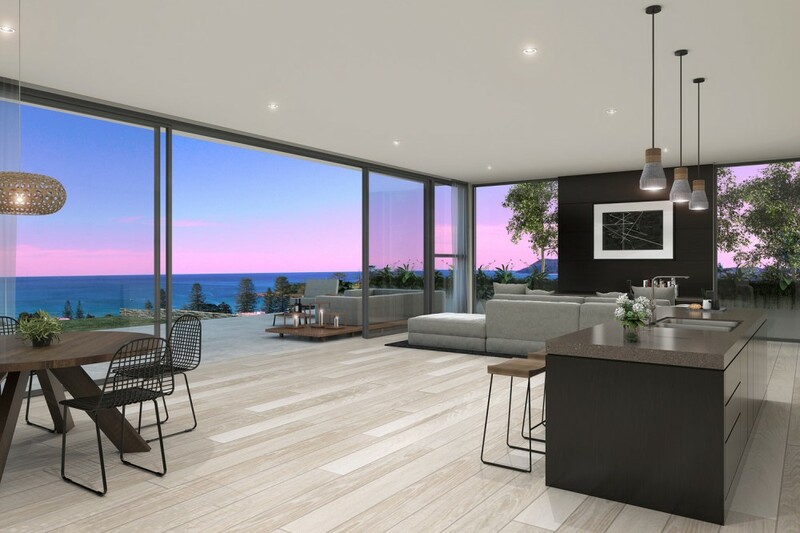 And stunning beach house designs, for permanent family homes or holiday homes, can help you make a real connection with all the vibrancy and vitality that beachside living offers. Our love for the beach touches something primal within each of us. Fishing, surfing, swimming and other water sports foster a refreshing liveliness that keeps us forever young. And the beach is so perfect for those family picnics, barbeques, and social gatherings. That’s why the best beach house designs celebrate fun in the sun and a light-filled carefree exuberance. Truly effective beach house designs delight the senses yet offer practical solutions to the challenges of living in close proximity to the powerful forces of the ocean. 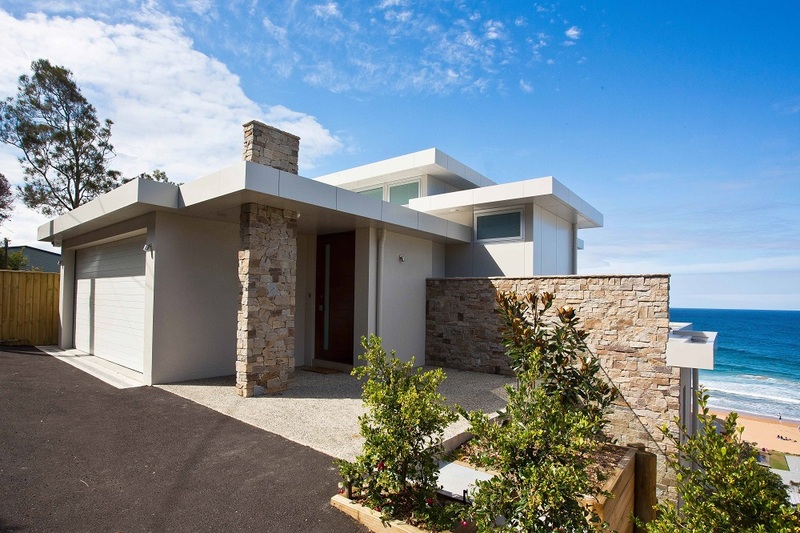 Slater Architect’s beach house designs seek brilliant and creative solutions to those coastal challenges. We bring all the elements of coastal living together in a true yin-yang balance of serenity and active living and art and function. 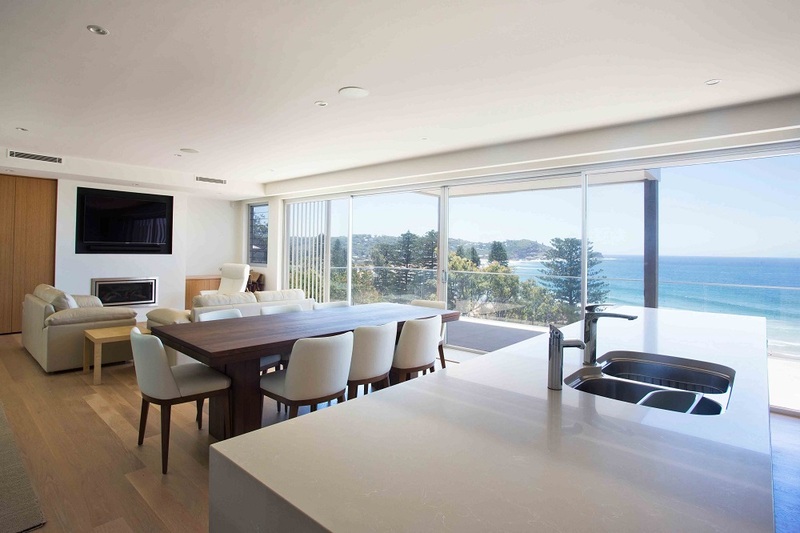 Slater Architects offer bespoke and deeply personalised beach house designs that reflect your desires. We work with you to form a truly special shared architectural vision that will enhance your unique house site and truly embrace your needs and lifestyle. Luxury beach house designs offer you and your family the perfect space to share in that beach energy and yet feel safe, secure and protected from the ocean’s uglier moods. 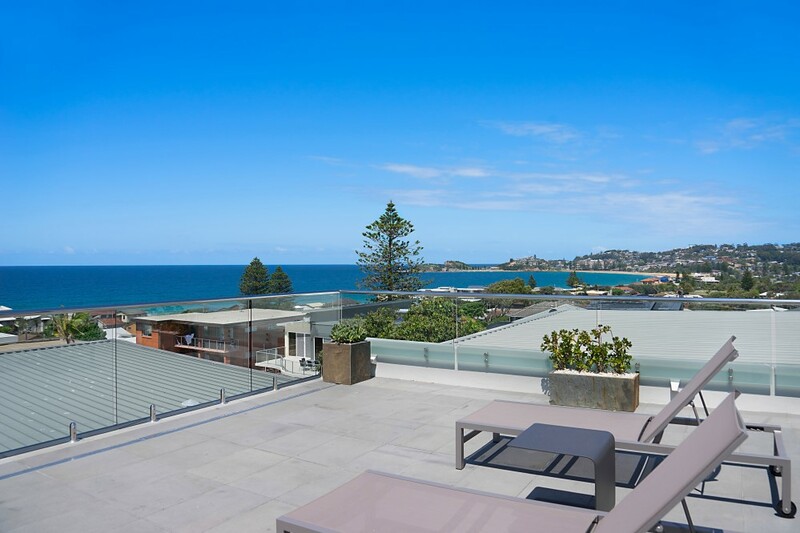 Australia is blessed with such an extraordinary range of coastal and beachside environments from sheltered estuaries to stunning sandy beaches and rocky cliff sides. 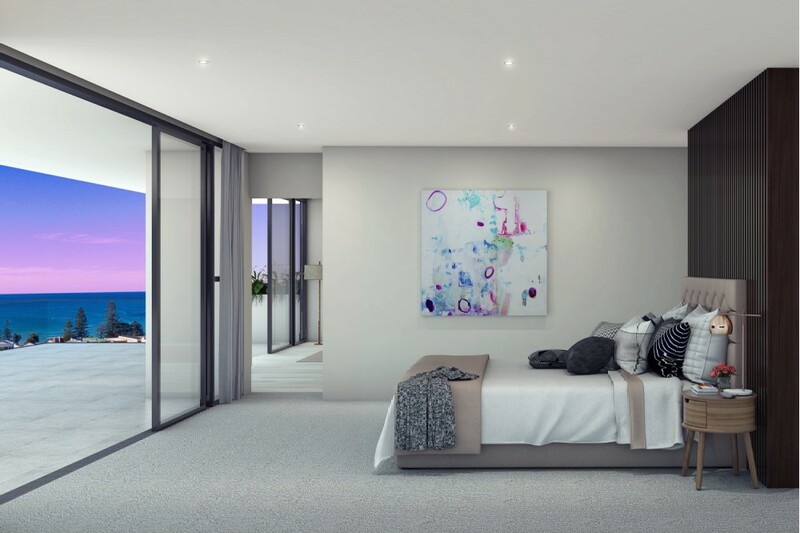 Every Australian beach house site is different and that’s why every one of our beach house designs is uniquely designed to suit. 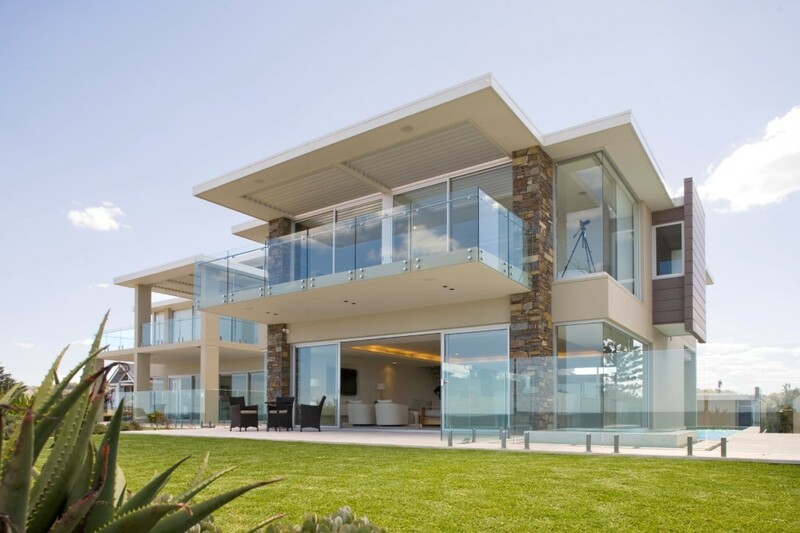 Modern beach house design offers a broad focus on function with form, opulence with practicality, and space for entertaining as well as ample privacy. Modern people lead busy lives and so low maintenance, easy care house design is another important feature. We ask you the important questions about what matters to you in your home. You can dare to be completely different or create a modern version of the old traditional beach shack or something in between. 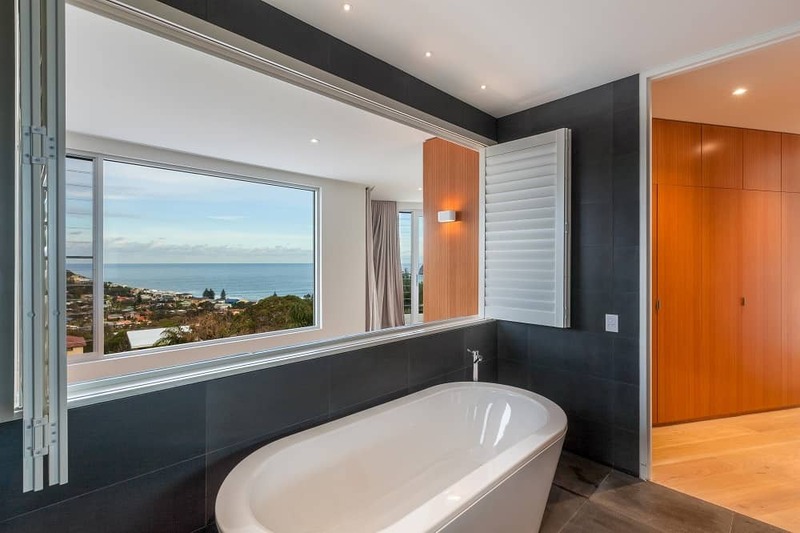 We find the perfect balance between maximising stunning ocean views and maintaining your privacy. Open plan living spaces, large eaves, and expanding floor to ceiling glass doors can make your dreams a reality. No two beach house sites are the same. We join with you to explore the fresh possibilities and different challenges inherent in each site. We pride ourselves on producing exciting, fresh designs every time for a truly special and unique expression of what life at the beach means for you. 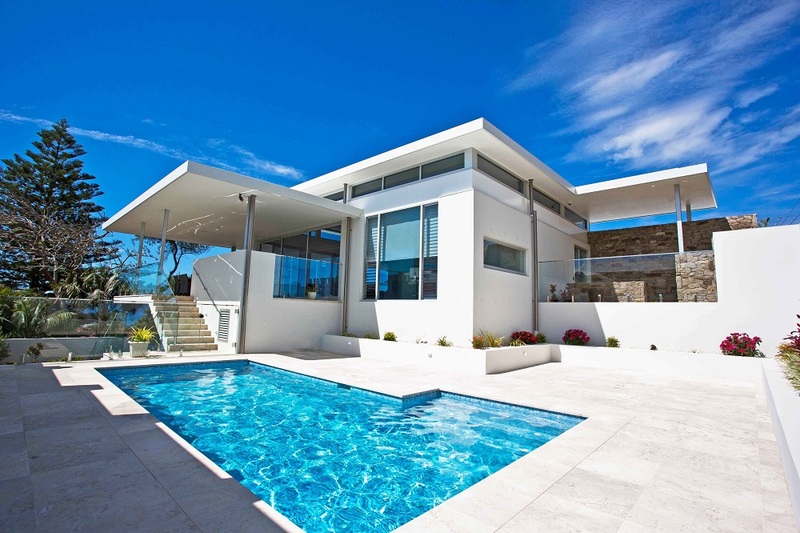 We design custom homes as part of an overall cohesive plan to include swimming pools, external walls, garages, and even secondary accommodation. And you’ll love the way outdoor living areas provide an organic connection between the house, the land, and the beach. Some of the best beach house designs manifest a zen-like simplicity. That’s because life on the beach can be so simple. Whether you’re on holiday, just chilling at the beach or after a tough day at the office, the pure rhythms of the sea wash away all that stress. It’s as though all the messy clutter of busy modern living gets cleared away and you can finally view life in its pure beauty. 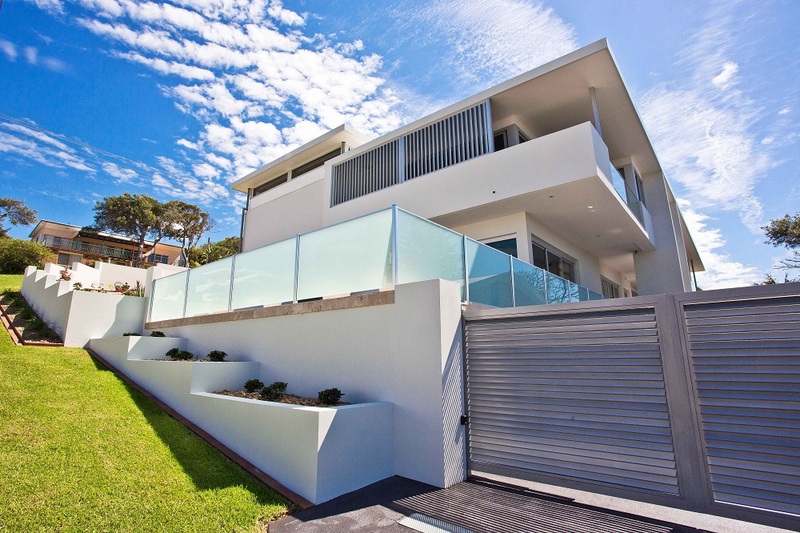 We understand how simple beach house designs can add a rich tranquillity to your daily life. The rhythmic tides and surf expand your consciousness of your own life force, the sand between your toes reinforces your connection with the earth, and the sun and wind on your face brings a refreshing sweetness to your day. 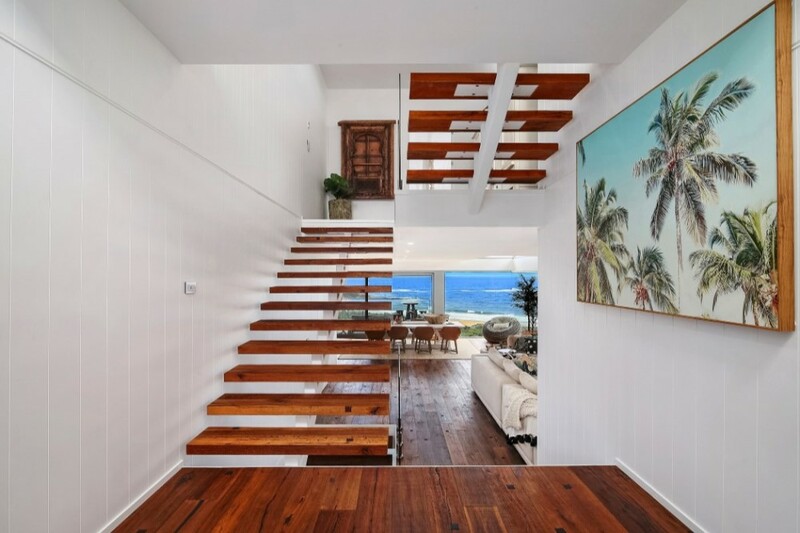 Simple beach house designs are all about bringing those same special influences into your home. We love designing homes that reflect the simplicity of beach life. 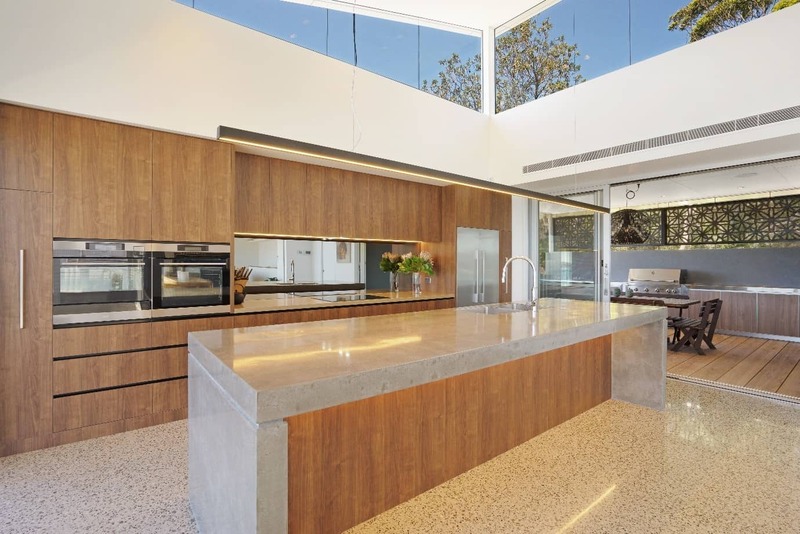 Natural materials such as stone and timber create a powerful connection with your chosen site and provide a rich contrast to glass, steel, brick and concrete. Celebrate life at the beach with a free-flowing naturalistic connection between the indoors and the outdoors. Easy care functionality gives you and your family more time to enjoy doing the things you love. We take advantage of natural lighting, ventilation, and thermal mass storage to create a home that flows with the seasons. This results in a home that is cool in summer and warm in winter naturally and with minimal energy costs. Simple beach house design doesn’t mean basic. It just means we go back to the fundamentals of great design and incorporate those elements into a vision that is simply stunning. We take inspiration from the ethos of the great 20th century architects such as Frank Lloyd Wright and Ludwig Mies van der Rohe to create homes that are simply tailor made for living in. We offer bespoke luxury interior designs. We’re not prisoners of any particular fashion, rather we design timeless and unique masterpieces of beauty that speak to you and your lifestyle. Imagine an open plan home design with natural stone and timber features that appear to grow organically out of your coastal site. Add in large expanses of glass to fill all the rooms with natural light. You’re looking at designs that invite the beauty and majesty of your beach setting indoors. 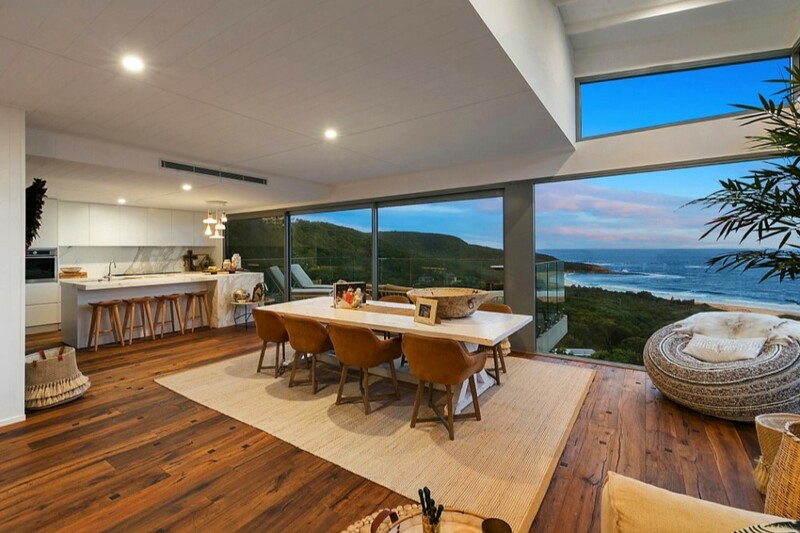 Solid timber beams create a sense of warmth and with the addition of floor to ceiling glass provide a perfect frame for the beautiful ocean views. Inspired use of stonework adds a solid connection with the bones of the earth. And you’ll love the rich textures, intricate patterns, and feel of locally sourced materials such as sandstone and timber. We design each room to benefit from the wealth of natural lighting, fresh air ventilation, and passive solar design. The result is efficient ambient temperature management for a cool summer interior and a warm winter home. 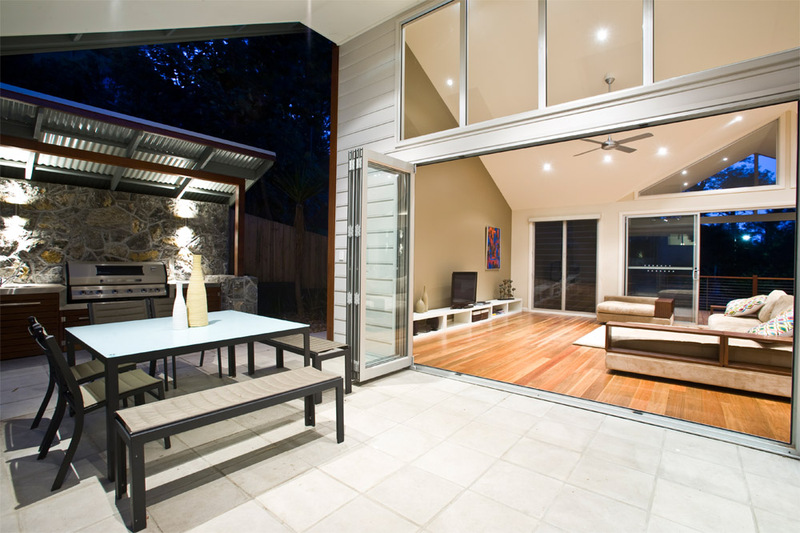 Full width sliding or folding doors allow you to open up your living areas completely to the outside world for truly seamless integration of your indoor-outdoor living. The feel is akin to living the holiday dream in a truly luxurious resort all year round. 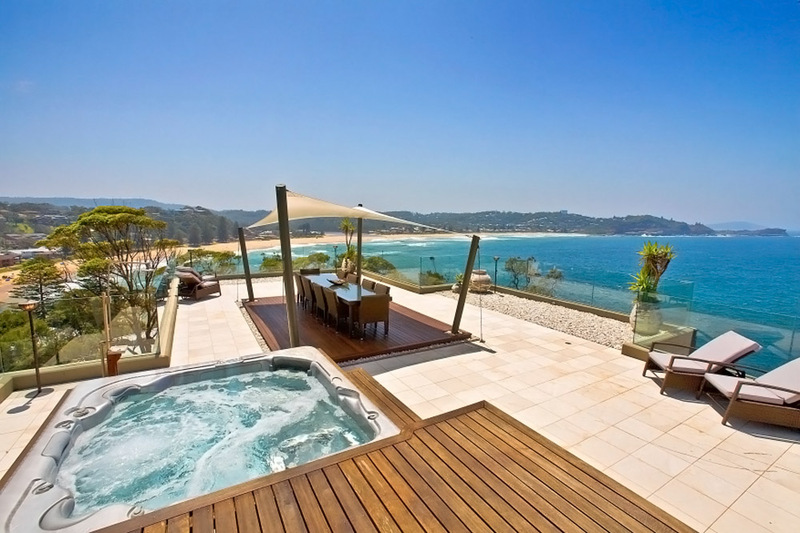 Luxury bespoke living spaces are central to your special beach house lifestyle. It’s all about using the available space in creative ways for a permanent luxury resort feel. We can create personalised living spaces to suit everyone in your family. It’s your choice, whether you want a seamless flow between designated areas or a clear demarcation between areas such as the home theatre space, an area for the children and the formal dining space. Steps, stone or timber feature walls can bring everyone together or allow you to have your own space. Ample light and ventilation means you can enjoy the outdoors even when you’re indoors. And airy ceilings, expansive glass framed by timber or stone lead the way to a seamless transition with the outside living areas. Social gatherings, entertaining, or a quiet breakfast on the deck; beautiful food is an essential part of living by the sea. 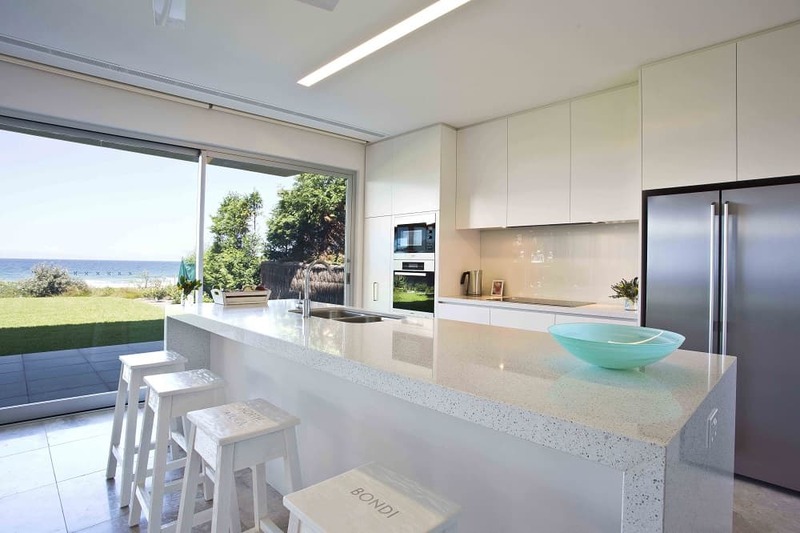 That’s why the kitchen forms such a vital and central part of any beach house design. 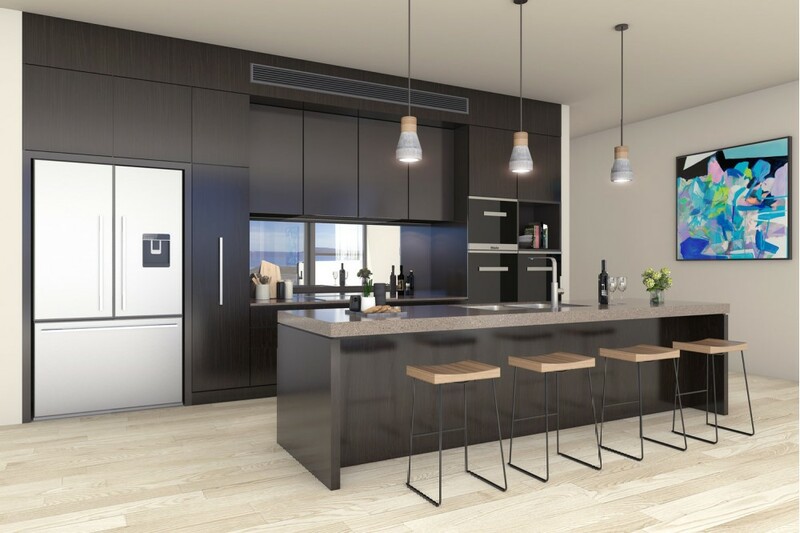 Expansive and practical kitchen layouts combined with luxury features cover the full range of dining experiences from grabbing a bite at the laidback breakfast bar before hitting the surf to the luxurious formal social occasion or the barbeque on the deck. Colours, materials, and lighting combine with function to form an organic whole. 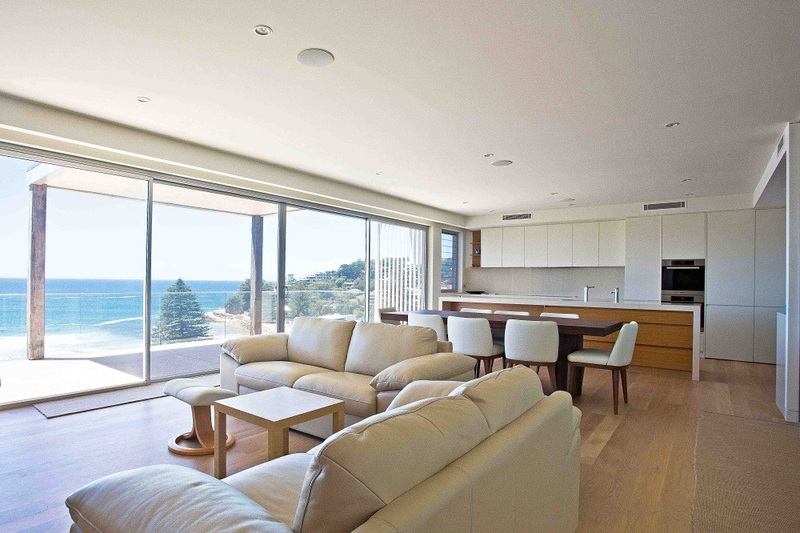 Think–the warmth of timber flooring to connect to the bush-clad coastline and cool marble flooring for summer comfort. 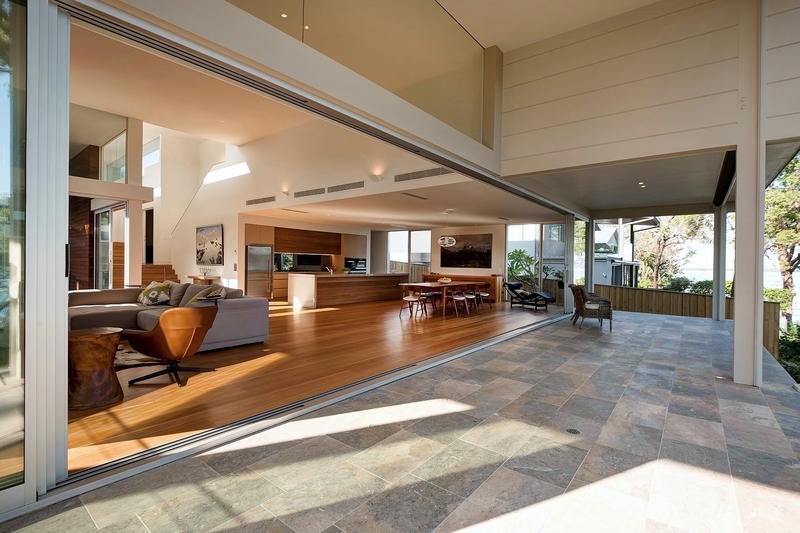 Open plan design and floor to ceiling glass sliding or folding doors ensure easy communication with your guests while you’re in the kitchen and a seamless transition with outdoor dining. 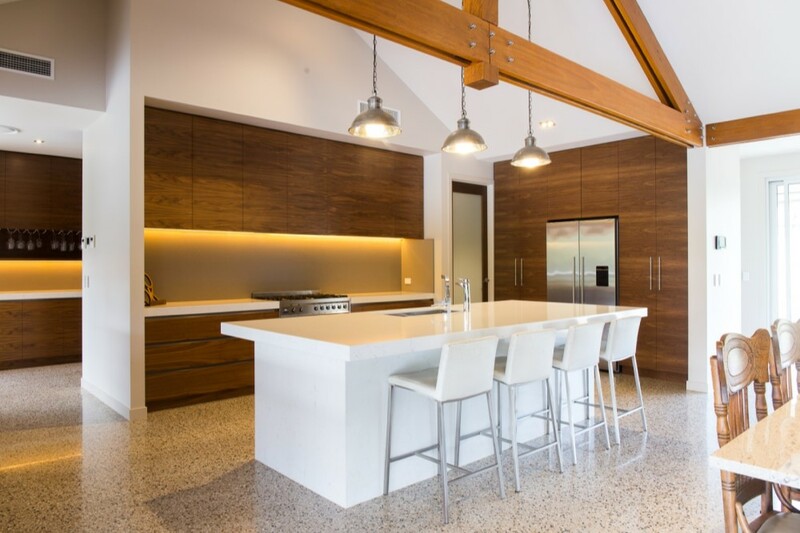 At Slater Architects we create kitchens that are an intrinsic part of living the beautiful life. 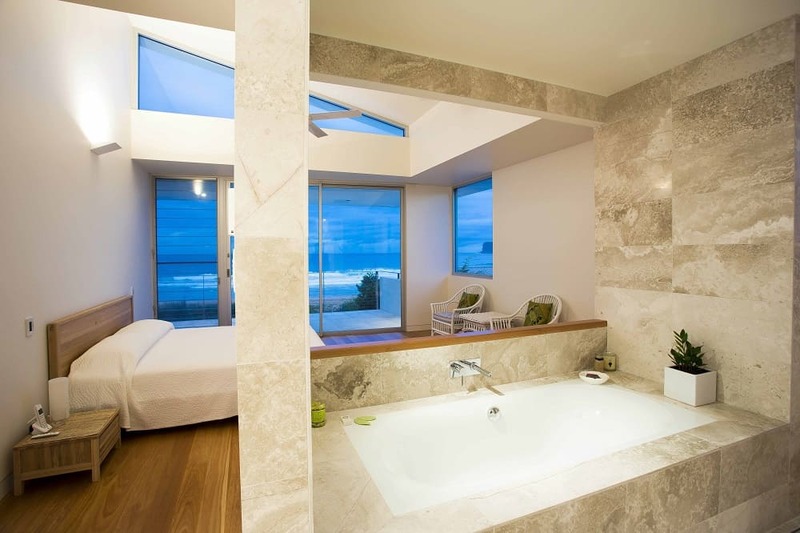 The traditional or conventional does not restrict us when we create bathroom designs for beach houses. 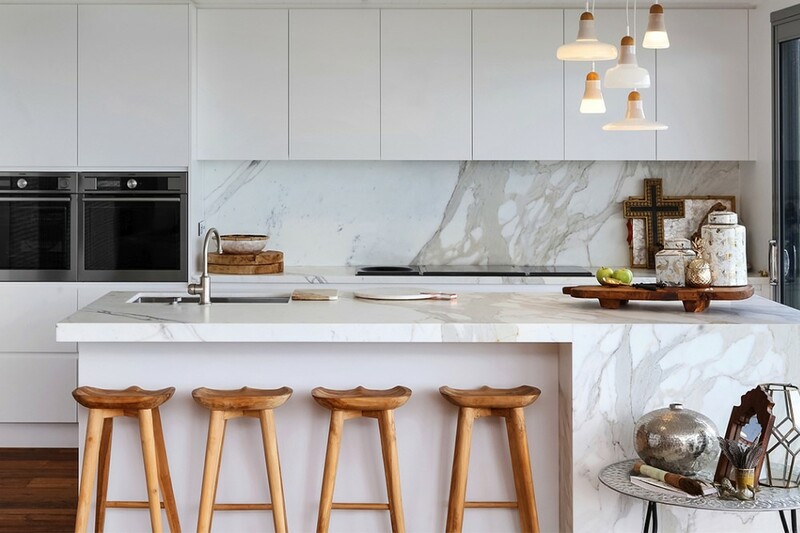 Beautiful use of honed marble for the luxurious look or natural limestone sourced from beneath the oceans of yesteryear which capture the fossils of delightful sea creatures ; the possibilities are endless. 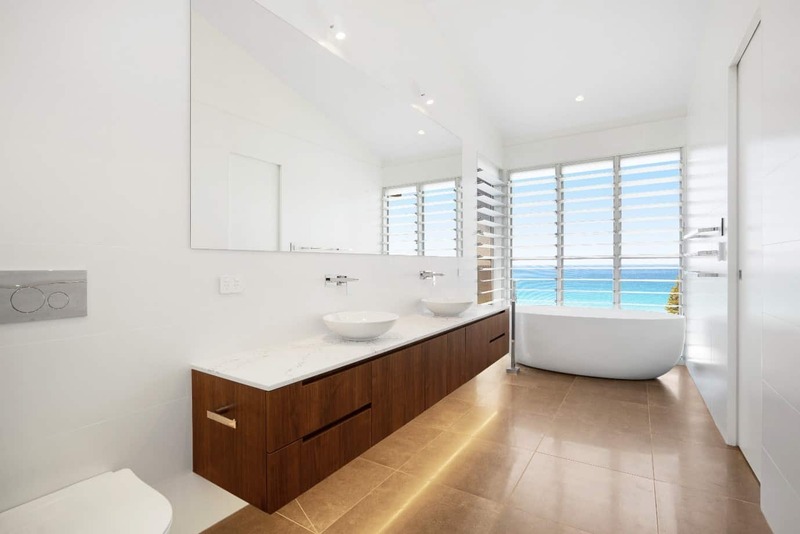 Bathrooms can be places of light too with floor to ceiling glass, and louvre windows to bring in ample natural ventilation. 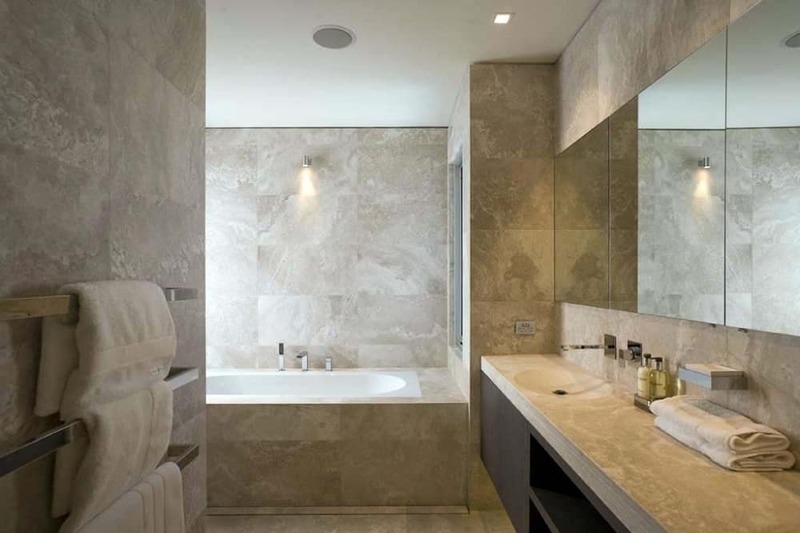 We design luxurious bathrooms that are big on beautiful detail. So even if your bathroom is still the smallest room in the house it can be big on impact. Coastal building sites whether they’re flat or sloping are perfect for playfully incorporating single level or double story house design. Mezzanine floors, extended height walls, balconies, and multiple levels blur the distinction. Maybe you’re looking for a grand facade, or a clever perspective that appears to change size and shape according to your position or perhaps you want a home that blends into the beach landscape? We explore your building site, and work with you to create a simply stunning beach house design that encapsulates all that beach life means for you. Stairways, inside and outside bring an elements of grandeur combined with mystery. Stairs always invoke the desire to explore. 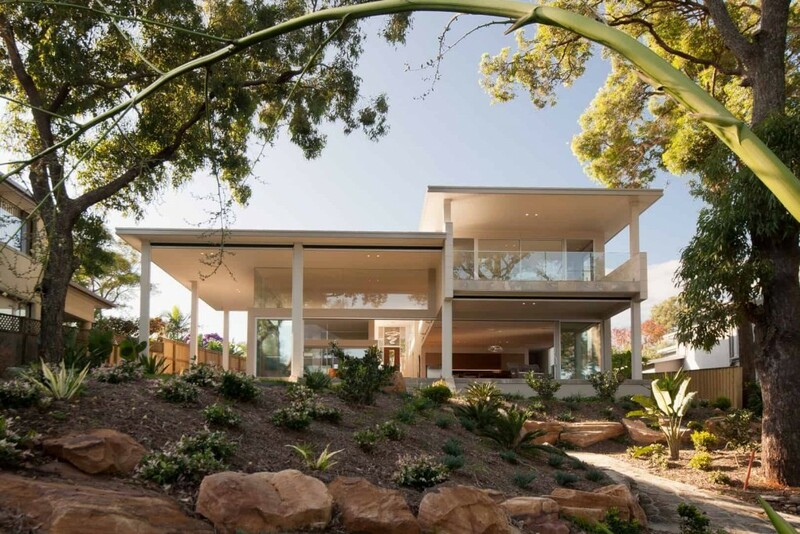 Cantilevered decks and glass balustrades connect with stairways that lead to other hidden special areas such as private gardens, swimming pools, and grassed areas. Concept designs to highlight some of the possible issues, constraints or engineering requirements with the site and give an initial idea of costs involved. Design development for more detailed drawings with more detailed as engineering requirements, material choices and a clearer idea of costs. Developmental approval—we prepare all the complex documentation, studies, engineering reports and analyses for you and take the headaches out of gaining Council approval. Construction documentation including detailed drawings of interior finishings, fittings selection, and joinery designs. Project administration—yes, we can manage the contractor tender process, prepare contract documents, ensure quality standards are being met, and monitor project timelines and progress. Our customers are not the only people who love our work. 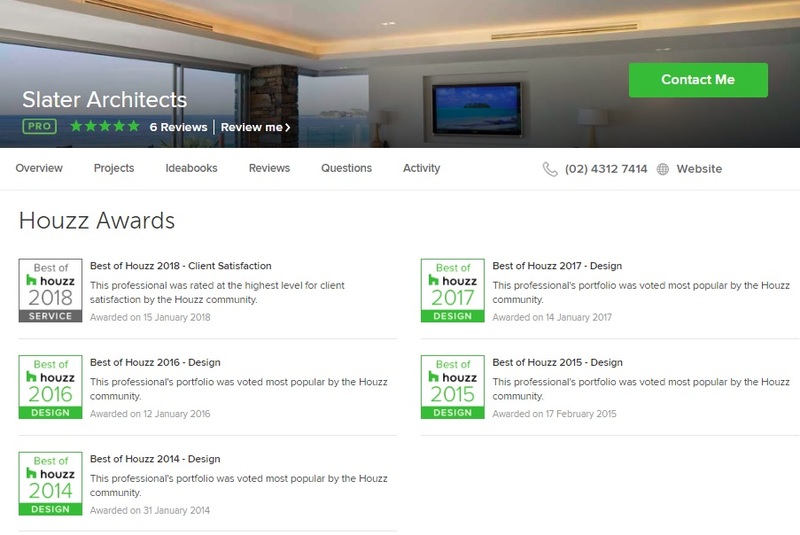 Numerous awards from the Australian Institute of Architects (AIA), the Best of Houzz awards for 2014, 2015,2016,2017 and 2018 and feature articles in numerous well known architectural publications and magazines are all testament to the inspirational and sumptuous quality of our designs. But it is the accolades of our customers that matter the most to us. We know we’ve done our job when you have a home that meets your practical requirements, embraces your personality and creative vision, and enhances your lifestyle. 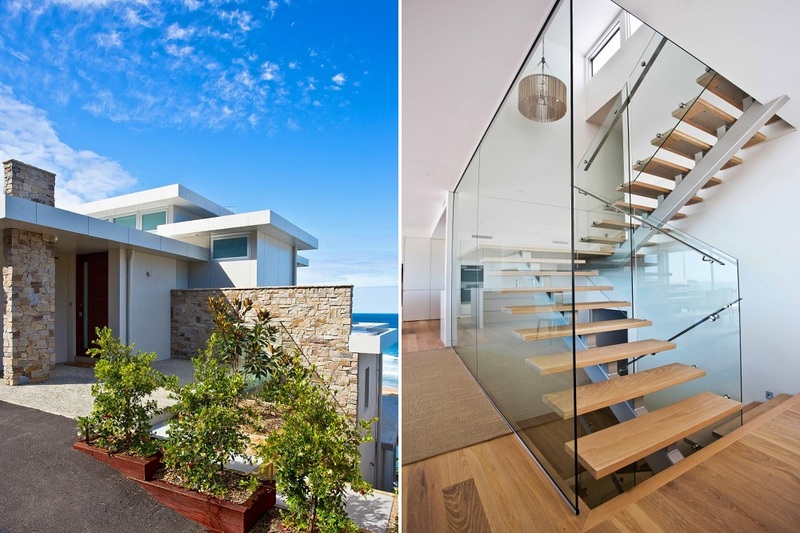 Choose Slater Architects for truly inspirational beach house design.